The Company Classification section is designed to allow the employer to determine or define whether or not they are an Applicable Large Employer (ALE) group employer by calculating the Full-Time Equivalent (FTE) value. 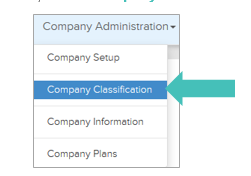 Learn how the Company Classification works. Uploading Hours: Employers who significantly vary in hours on a month to month basis can upload hours for the preceding calendar year in order to adequately determine their large employer group status. The prerequisite to this section is to prepare a spreadsheet using the Sample Template, illustrated in the figure below, which includes the hours worked on a monthly basis for each of the employees who reported hours of service in the preceding calendar year. Forcing FTE: Companies whose employee workforce does not vary dramatically may choose to force a FTE value of greater than 49, thereby not having to upload hours. This number is not reported to the IRS; however, it should be as accurate as possible. TIP: Company Classification is not the area used to upload hours for the measurement period. Company Classification is used solely for loading hours to calculate the size of the employer. Hours for measurement periods are uploaded in Upload Employee Hours. Download the Sample Excel file to ensure your hours are formatted correctly and minimize any potential errors. Choose Company Type (Applicable Large Group or Small Group). To be classified as an “Applicable Large Group” you must have more than 49 Full-Time Equivalent employees. Company Plans is the area that allows you to identify the plans offered by the employer as being Minimum Essential Coverage (MEC) and/or Minimum Value Standard (MVS), whether those plans were offered conditionally to the Spouse of the Employee (such as the Spouse was only offered the plan if the Spouse was not eligible for a medical plan through their own company), and whether any of those plans were a Multi-Employer plan. This part must be completed accurately as it is the basis of determining the potential employer penalties. Please note: plans must be identified as Minimum Essential Coverage (MEC) in order to also be identified as Minimum Value Standard (MVS). 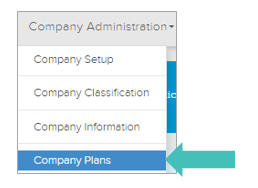 Identify whether the plans are MEC and/or MVS and if they were conditionally offered to Spouse or part of a Multi-Employer setup and click Save.